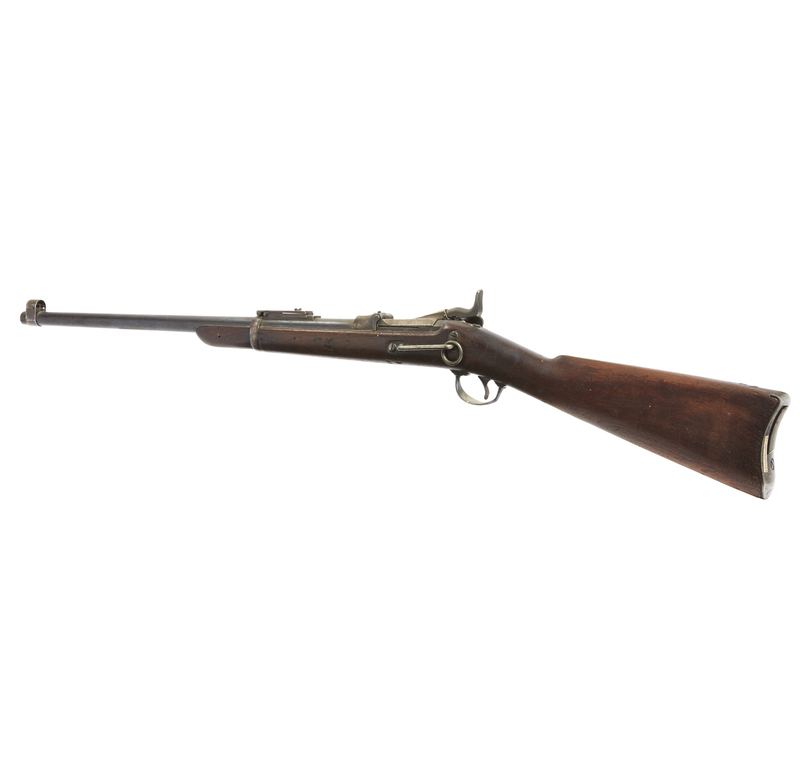 Springfield model 1873 trapdoor cavalry carbine in .45-70 caliber. 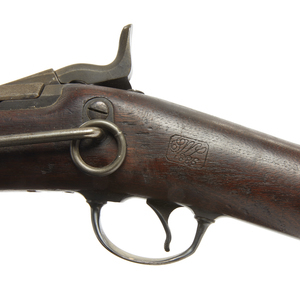 A nice, original 1873 marked Trapdoor carbine, all original, with sidebar and saddle ring, retaining much original finish. Hood has been added to front sight. Dimensions: 41"l. Processing and shipping within the continental U.S. $55.00 plus 1.5% replacement cost insurance. Very good and better with some finish. Witherell's strives to provide as much information and photographs as possible but encourages in-person inspection by bidders. Condition statements are only for general guidance and should not be relied upon as complete statements of fact and do not constitute a representation, warranty or assumption of liability by Witherell's. All lots are sold "AS IS" under terms and conditions.